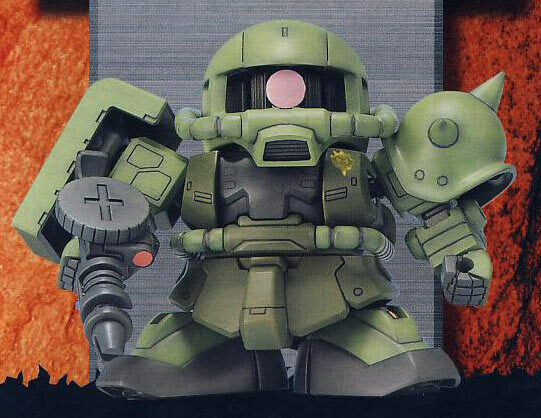 Released in 2001 by Bandai was the Super Deformed variant of the MS-06F Zaku II. 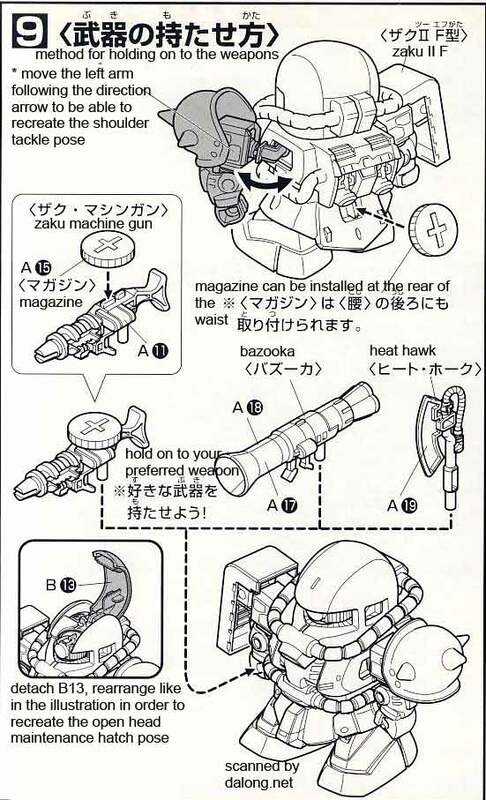 The Zaku II was the workhorse of the Principality of Zeon during the One Year War as seen in the Mobile Suit Gundam anime series. 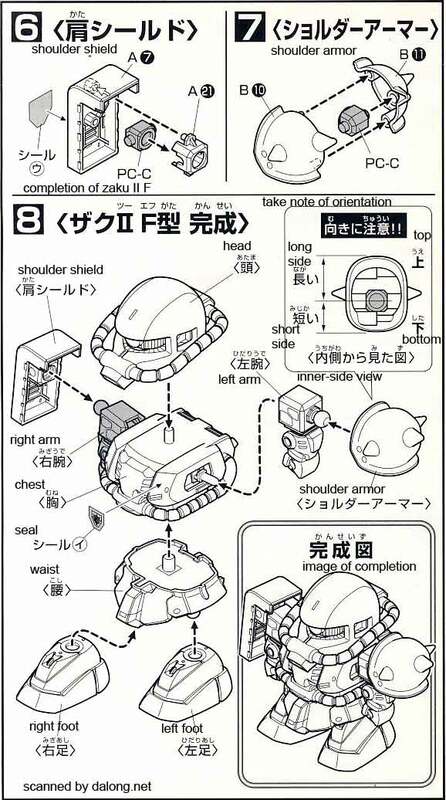 The SD MS-06F Zaku II is selling for 400 yen at HobbyLink Japan, 425 yen at Hobby Search. 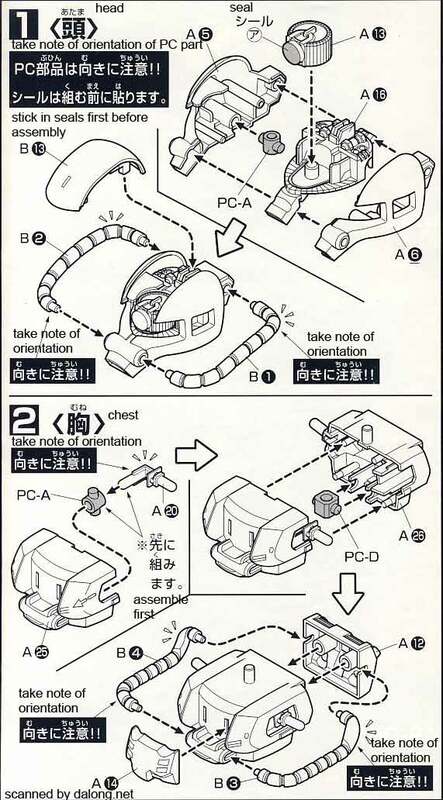 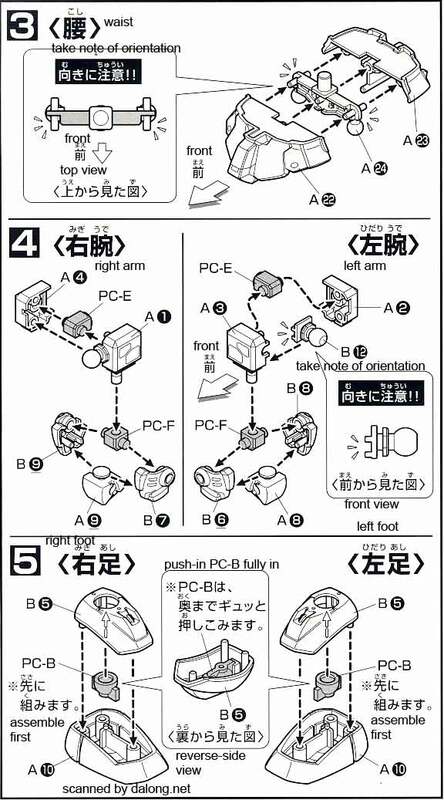 Color Guide in the manual uses Gundam Markers for coloring.